London, February 05 (KMS): Pakistan Foreign Minister, Shah Mahmood Qureshi, has said that Pakistan will continue its support to the Kashmiris’ just struggle for securing their inalienable right to self-determination. Shah Mahmood Qureshi addressing an international conference in London said Kashmir is the oldest dispute on the UN agenda. He said Indian rulers have been denying plebiscite in Kashmir as promised by their predecessors. He said India is using different tactics to change the demographic composition of occupied Kashmir. The Foreign Minister called upon international community to break its silence over the ongoing atrocities and grave human rights violations by Indian troops in the occupied territory. He also urged international media to raise the ground realities in occupied Kashmir before the world. Addressing the conference, Senator Mushahid Hussain Syed said right to self-determination is the fundamental right of the people of occupied Kashmir. He said India is committing massacre of Kashmiris in the occupied territory. 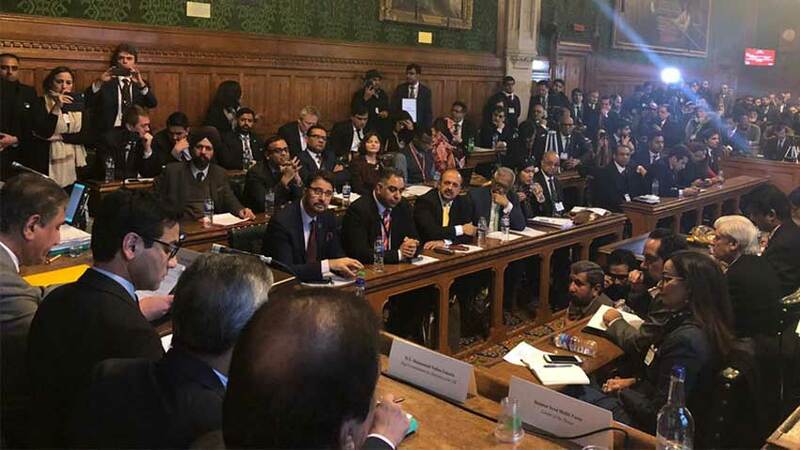 Member British House of Lords, Sayeeda Warsi, in her address to the conference, said sexual violence in occupied Kashmir as a tool of war is most horrific and India is failing to fulfill its responsibility. Labour MP and shadow British Foreign Minister, Debbie Abrahams, said we need to wake up international community to take interest in the issue of Kashmir and their right of self-determination. He said India is a member of commonwealth and by its rule should respect human rights. Liberal Democrat MP, Tom Brake, said there is a special role for the UK government in terms of the historic role that it has to play for resolving the Kashmir dispute. Labour MP, Sharron Debbie, said Kashmir has become a horror story but peace can never be achieved by violent means. Former Prime Minister of Norway, Kjell Magne Bondevick, said Kashmir is the longest lasting conflict where people are suffering and huge abuses have created refugee problem. “I visited Kashmir and was horrified to see the humanitarian situation,” he added. Senator Nuzhat Sadiq said the world needs to know about Indian state terrorism in occupied Kashmir. A resolution adopted during the conference expressed concerns over the plight of people of occupied Kashmir. It urged the international community particularly the United Nations to take immediate and effective measures to address the human rights situation in the occupied territory. It called for settlement of the Kashmir dispute in accordance with the relevant UN Security Council resolutions of Kashmir.